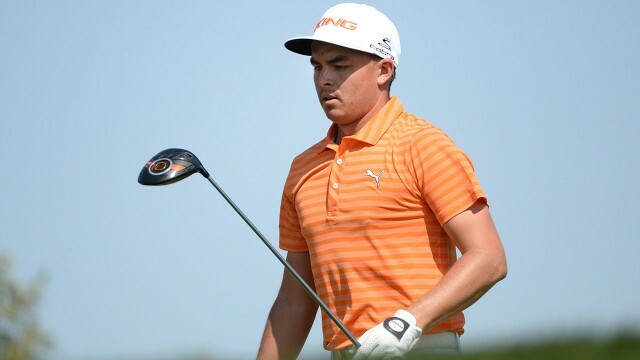 Rickie Fowler pretty much self destructed on Sunday at the Waste Management Phoenix Open when he blew a two-shot lead with two holes to play. His strategy on the 17th hole was questionable and then again on the 17th in the playoff. Do elite players make that kind of mistake or is this further proof that Rickie isn’t quite ready to be in that category? Hal Quinn, Freelance Writer, Vancouver: That meltdown was hard to fathom, but not as difficult as deciphering Rich Lerner’s attempts at wit: i.e. the 16th hole — “It’s like amateur night at the Apollo Theatre.” Not even Lerner knew what the hell that was supposed to mean. Fowler — no Rich, he’s not “a rock star” he’s a freakin’ golfer dressed colourfully by a clothing company — has been driving the ball so well thanks to Butch Harmon. His rockets of 320+ were amazing. But messing up the 17th twice makes you wonder where was that guy that won The Players last year? I’ve played that hole from the tournament tees a half dozen times. It’s not a hard hole. You have to create your own problems, say by trying something daring if trailing by two. Leading by two and blowing it, and then goofing up again in the playoff, isn’t what a truly elite player does. Jim Deeks, Fairways Magazine (@jimdeeks): I must admit, when I heard the announcer (Koch?) say “he’s going to try to draw the ball” on the 17th tee in the playoff, my reaction was “WHAT?! Even I’m not that stupid.” What had been a very entertaining finish turned into “what just happened here?” I like Rickie a lot – clothes and previous haircut aside — but his inability to play that hole with intelligence and maturity boggles the mind. Nine times in the water on that hole in his career?? To answer the question… I can’t see Tiger, Rory, Jordan, Jason, Dustin, Justin… Jones, Palmer, Nicklaus, Hogan… ever making the same mistake 9 times. Frank Mastroianni, Freelance Writer: Professionals always make those mistakes and Rickie definitely deserves to be in the elite category. Every elite player will make errors that cost them a tournament at some point. I wouldn’t even call Rickie’s choices on 17 mistakes. He also ran into one of my young gun call outs from a Round Table a couple of weeks ago: Hideki Matsuyama. I think it’s simply a case of 17 being a hole he’s not comfortable with. Phil’s made plenty of mistakes, including a chance at a U.S. Open at Winged Foot. Does that mean he wasn’t/isn’t an elite player? Adam Scott had a meltdown on the back nine of the Open Championship, how about him? Rory tripled 10 and doubled 12 at the 2011 Masters – not elite? I’ll call out just one more and then I think we can put the Rickie being an elite player question to bed…Greg Norman at the 1996 Masters. Craig Loughry, GAO Director of Handicapping (@craigloughry): Poor Rickie. He putted beautifully, he just `wasted` (sorry I couldn’t help myself) a few shots coming in. What happened on 17? It sort of looked like he forgot how to manage his game, he must hate that hole. You could hit it anywhere on that hole on Sunday BUT LEFT, or long apparently. I don’t think messing up the 17th hole is the reason Rickie is the top of the second tier, its just the top 3 are better, plain and simple. Case in point, McIlroy sure blew up at Augusta with the lead, remember the SNAP HOOK into the cottages on 10 to make triple? Mistake for sure, an elite player yes, so this doesn’t necessarily define you, but for some players it does (Dustin Johnston-Sergio Garcia). That HOOK cost Rory the Green Jacket; look how things turned out there. Rickie will win a few events here and there, maybe even a couple of Majors, but he’s not in the same conversation as Spieth, McIlroy and Day. Peter Mumford, Fairways Magazine (@FairwaysMag): Everybody wants to point at Rory McIlroy’s wicked hook on the 10th hole in the 2011 Masters as evidence that elite players do in fact make that kind of mistake. First, Rory wasn’t quite in the elite class yet but was close. Second, Rory’s hook was a bad shot, not a bad decision. In Rickie’s case, he’s struggled with the 17th hole at TPC Scottsdale many times (9 water balls!) so he should know, and his caddy should know, that the strategy has to be different. With a two shot lead and two holes to play, all Rickie needs to do is par in and make the chasers catch him. No need to take a risk on a hole where he could make an easy par by hitting 7-iron, wedge. Tiger Woods, Jack Nicklaus or Jordan Spieth would never have made that mistake. Jim Kenesky, Kenesky Murray Golf Services (@JimKeneskyGolf): Let’s keep in mind he’s played a few weeks in a row. I think he will definitely do something special this year. I know what happened on 17. It was an awkward yardage for him as he had substituted a 3 wood for a wedge and was left with Driver or 5 wood. Driver too much, 5 wood too little. In the playoff he was hitting a hard draw to chase the 5 wood on the green and overcooked it. I’ve been a Rickie fan for awhile and know he’s destined for big things. Dave Kaplan, Freelance Writer (@davykap): I put those blunders on Rickie’s caddie, Joe Skovron. You are up two shots with two holes to play and this hole has ALWAYS given you trouble in the past. FOR GOD’S SAKE! Hit an iron onto the fairway and a flip wedge in to the green. You may not make an eagle, but you certainly won’t hand the tournament away either. That was a major learning moment for Rickie, but I don’t think it calls into question his status as an elite player. Brooke Henderson also had a chance to win the Coates Championship on Saturday but made a questionable club choice on her second shot on 18. Given her relative lack of experience, should her caddy have stepped in and offered a different club? Mumford: I think Brooke’s case is as much a caddy thing as it is her. Ultimately the player has to make the decision and be comfortable with it but she chose a club that brought the hazard into play. Her caddy should have been aware that she was likely pumped from being in contention and insisted she hit less club. It’s a learning experience for her and I doubt she makes the same mistake again. Mastroianni: I’m a firm believer in the idea that you pick the club you’re most comfortable with. I don’t know what the conversation between Brooke and her caddy was but I have to assume the result was taking the club she felt most comfortable hitting in that particular situation. Sei Young Kim laid the sod over her wedge just minutes ahead of Brooke, so who says she wouldn’t have laid up and chunked it so badly that she would have made bogey or worse – it was extremely wet. (BTW, the PGA TOUR would have halted play in that scenario and not try to use leaf blowers to scatter the water. There was casual water everywhere). It’s one of those cases where had she pulled it off she’d be a hero, now that she didn’t, it’s all questions and second guessing. Quinn: If not saving her on 18, what was the caddy doing out there? She was struggling along making pars by messing up on birdie attempts all day, so maybe the caddy wasn’t doing anything but standing behind her and saying: ‘good’(that irritating LPGA Tour pre-shot phenomenon that should be banned). The caddy has to earn that 10 per cent and he sure didn’t Saturday. Too bad, Brooke should have won that by a couple. A sharp caddy would have brought the teenager to the trophy ceremony. Loughry: You can try and question a club selection all you want, the final decision is the players. That said, she needs to pick a LONG TERM permanent caddie for her benefit and growth (preferably one who knows most of the tracks on the LPGA Tour). This past week it was a golf pro friend of her sisters on the bag (I’m sure some good local knowledge), part time it is Brittany (her sister), and sometimes an old family friend. A CADDIE makes a difference, and maybe in this case if she had a good one on the bag, a different decision would have been made. Even though the club selection may have seemed suspect, don’t believe the 18th hole was the issue, it was the inopportune 3 putts on the back 9. You just can’t do that and win. Overall though, she had a good week, right there to contend for another win. I expect she’ll learn from this and be prepared going forward..
Deeks: In this case, I don’t think it was questionable at all. She knew she had to make birdie on 18… or ideally, eagle to go one ahead… a feat (eagle) that she had accomplished earlier in the day… so she had to go for broke. I’m really sorry she didn’t pull it off but she’ll have a thousand more chances before she’s through. And how classy and mature was her statement afterwards: “Starting the day, if I would’ve finished second, I’d be very happy.” Some may say that’s the thought of a loser, but to me it’s someone who knows she’s a winner, and will be. Kaplan: This is exactly like Rickie’s situation. At such critical junctures, it is the caddie’s responsibility to assess the risks and steer the players away from trouble. That did not happen here. If I were her caddie, I would have strongly urged her to play a much more conservative lay-up. Kenesky: Her sister would’ve said otherwise, but as long as she felt the decision was correct and didn’t doubt herself. A good caddy can recognize doubt in their player. I suspect she was very comfortable with her club choice. 2nd place is still pretty good. What did you think of David Feherty’s first telecast for NBC? Deeks: Second verse, same as the first. Quinn: There was an awful lot of NBC trying to justify the fee they’re paying him. And there was a lot of stock stuff — “It takes him [Ben Crane] an hour and a half to watch 60 Minutes” — but anyone who takes yap time away from Gary Koch and Johnny Miller is fine by me. Kenesky: He was funny at times. I must admit Maltbie and Feherty are a good pair. Gary Koch compliments them nicely. I really enjoy the NBC / Golf Channel telecasts. Kaplan: I was working away all weekend so I did not really have a chance to watch too much golf, but I did enjoy the brief moments of Feherty that I did get to see. Loughry: He was typical David. Getting to the last few holes his comment “the silence is deafening” I felt he was trying a little too hard maybe. But having fun with DeLaet was hilarious on Friday; “Great beard, it looks like he tried to swallow a cat”. A thing of beauty there. Mastroianni: Feherty is always great. I’ll listen to him on any channel. Mumford: AT CBS, Feherty didn’t have to compete with too many voices for airtime. They all seemed to have well defined roles. Faldo chimed in when asked by Nance, Kostis had his spots and all Feherty had to do was compete with Gary McCord for laughs – not really a fair fight. At NBC, there are too many people who just can’t stop talking. By the time Gary Koch winds down and Johnny Miller adds a comment with a Roger Maltbie echo, it’s time for Peter Jacobson to get going. I think most people would like to hear more Feherty. I know I would. The first time out, he was brilliant in a limited role but it seems like someone will have to go at NBC to make more room for the Irishman. Used to like David Feherty, now bored with him, too may “one liners”. Most Irishmen crack his jokes—-nothing unique most of the time. I think he should adopt a more mature approach and just throw in the odd “funny”. He does know golf though and I would like him to continue on the broadcast.